At least 128 anti-Muslim incidents have been registered in France in the wake of the terrorist attacks two weeks ago, a number very close to the 133 registered cases covering the entire 2014 calendar year, the National Observatory Against Islamophobia said Friday. 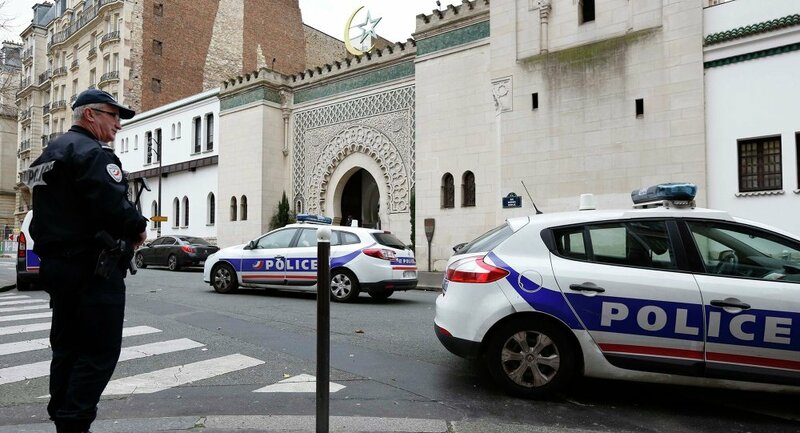 MOSCOW, January 23 (Sputnik) – The watchdog reported 33 acts against mosques and 95 threats registered by French authorities since January 7. The figures do not include incidents in Paris and its vicinity, as the city's police have not released their data yet. "But these figures do not reflect reality, as many Muslims don't want to systematically file a complaint when they are victims of xenophobic acts, convinced that there will be no follow-up, which is unfortunately often the case," the observatory said. In 2014, the amount of anti-Muslim incidents dropped 41 percent in comparison to 2013, according to the watchdog. A series of gun massacres took place in France between January 7 and January 9, taking the lives of 17 people. The first killings were carried out in the office of the Charlie Hebdo magazine in Paris, when suspected Islamic extremists gunned down the editor-in-chief and many others, including journalists and policemen. The satirical weekly humor magazine is known for cartoons satirizing popular religious and political figures, among them the Prophet Muhammad.